VICTORIA, BC – Canadian Sport Institute Pacific is hosting the International Coaching School (ICS) event from May 28th – June 4th at the Pacific Institute for Sport Excellence (PISE) in Victoria, BC. This event is designed for coaches looking to complete NCCP requirements and/or partake in high performance professional development. The SPCC runs from Saturday, May 28th to Friday, June 3rd and kicks off with the Managing Conflict module. In this stream, coaches can take six NCCP modules at the Competition-Development level and two at the Competition-Introduction stage. For those trying to earn NCCP certification, but unable to fit time into busy schedules, this event is ideal: The SPCC gives attendees the chance to complete eight multi-sport modules in just one week while saving money on registration and travel costs normally associated with achieving certification. Courses may be taken individually, but those who complete all eight at the ICS will earn a certificate in Sport Performance Coaching accredited by the BC Private Career Training Institute Agency. Occurring at the end of the ICS, the HPCA is a two-day advance happening on Friday and Saturday, June 3rd-4th. 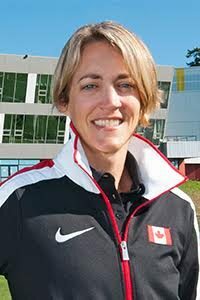 The overall theme of the 2016 HPCA is “Coaching Effectiveness” and will be led by experts in the field: Wade Gilbert – Editor-In-Chief, International Sport Coaching Journal; David Hill – Coaching Lead, Canadian Sport Institute Pacific; and Dr. Shaunna Taylor – Executive Director, PacificSport Okanagan. Exclusive to national, provincial, Advanced Coaching Diploma alumni, or CIS/CCAA coaches, the HPCA is an opportunity to network, share best practices, and learn from some of the best in the profession. Attendance will be by invite-only, so those interested in attending must contact the event organizer at dhill@csipacific.ca for approval. Located in beautiful Victoria BC, on the campus of Camosun College, PISE is a world-class high performance sport facility that houses the headquarters of Canadian Sport Institute Pacific. It is located just a 15 minute drive from downtown Victoria. Early bird prices are in effect until April 15th, but spots are limited! Secure your place at the ICS by registering here: https://www.regonline.com/2016internationalcoachingschool. For schedules, presenter bios, session descriptions, and everything else, please see the relevant event webpages below.